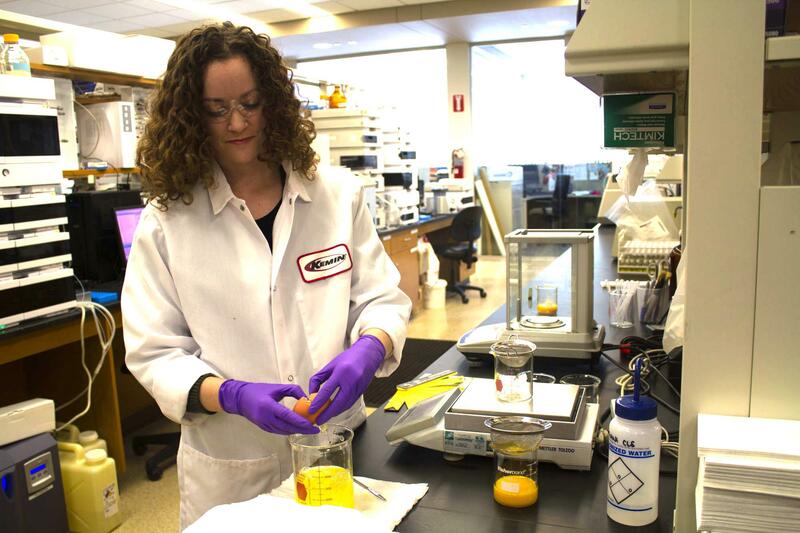 Elsie Rankin, a chemist at Kemin Industries in Des Moines, evaluates egg characteristics. 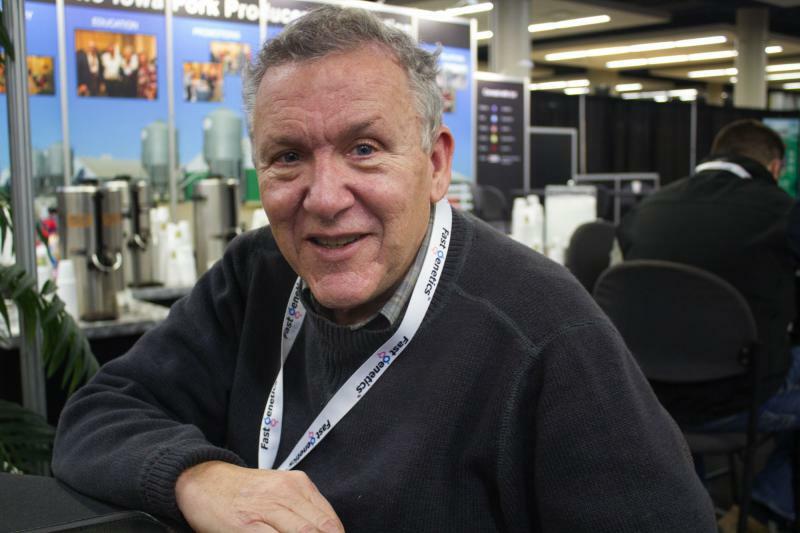 The company is working on a product that could reduce the risk of African swine fever coming into the U.S. via contaminated feed. 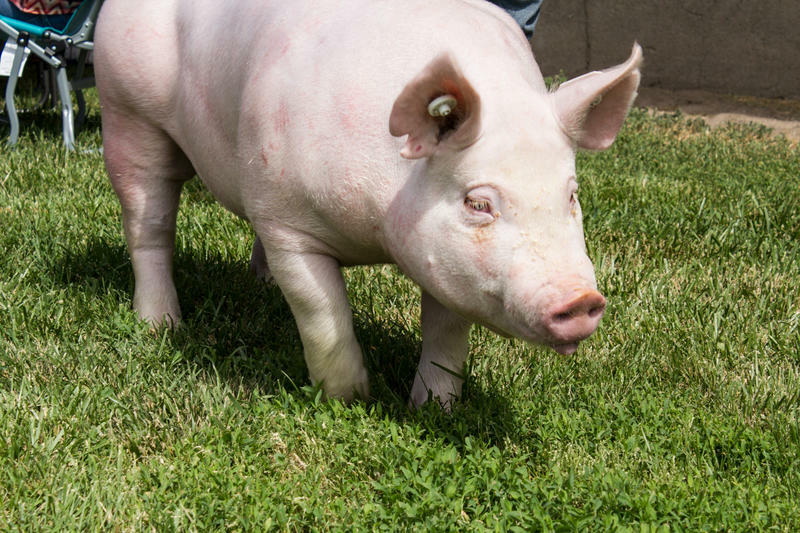 Harvest Public Media's Amy Mayer details the preparations being made in the U.S. in the event African swine fever finds its way here. African swine fever also has a hold in Russia and eastern Europe, and turned up in wild pigs in Belgium. China’s agricultural ministry says it has culled 900,000 pigs from the pork production system because of the disease, though many observers suspect that may be a low estimate. Belgium has kept the disease out of domestic pigs so far, but responses in Europe have ranged from a Polish proposal to wipe out its wild hog population (which prompted protests) to a Danish plan to build a fence that would keep the feral animals from crossing in from Germany. All of that has U.S. pork producers and emergency managers preparing for a possible outbreak, which could have potentially disastrous effects on the pork industry as well as rural and state economies that depend on it. A widespread outbreak likely would bankrupt some farms, though it would also flood the marketplace with cheap pork for U.S. consumers. The diseases only infects swine so is not a public health or food safety concern. Rowles grew tired of the constant risk of contagious diseases in hog barns and switched from swine to poultry — just in time for the massive 2015 avian influenza outbreak. He said he learned a lot of lessons that are now relevant for pig farmers preparing for African swine fever. 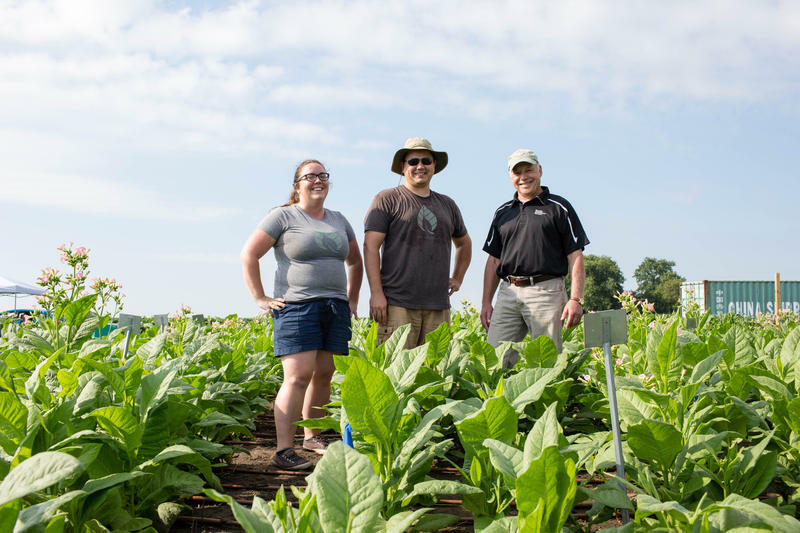 “If an outbreak does occur, I just want to make sure that everybody understands that if it’s on your farm, it’s really not about you anymore,” Rowles said, because local, state and federal officials from agriculture, environmental and emergency management agencies will swoop in. Their immediate goal is to contain the disease. To prevent it from spreading off the first farm(s), officials likely will euthanize all the pigs. They also could stop all movement of pigs, feed and manure across wide swaths of pork-producing states, which has the potential to strand trucks on highways, some of them filled with live pigs. Plus, once a positive diagnosis of the virus is made, all export markets are likely to dry up. That’s a loss of at least $4 billion in overseas sales for U.S. farmers. 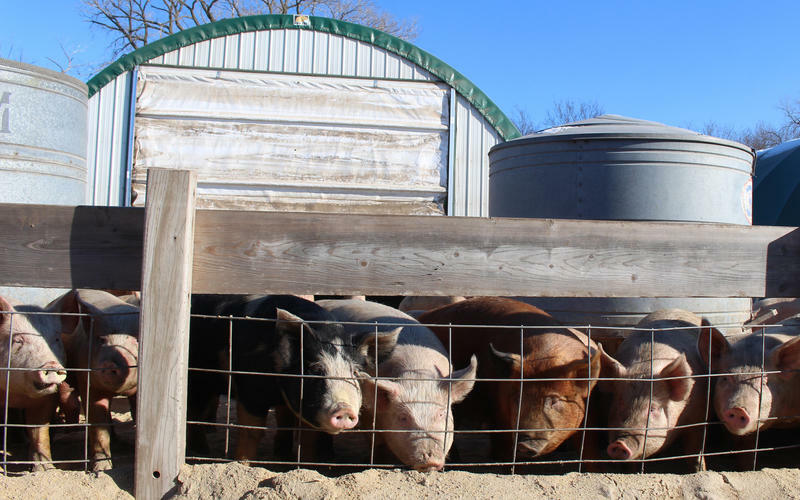 Scott Tapper, a pork producer in Webster City, Iowa, keeps tight biosecurity on his farm, and said he knows what he’d do if an outbreak occurs. How would it get here? African swine fever moves locations in several ways. Obviously, it gets a ride with pigs, including feral ones. But it can also be transmitted by people, hitching a ride on shoes or boots worn during a farm visit or in processed pork products like salami. It can survive for weeks or months there. Several airports in Asia have stopped passengers arriving from infected countries with pork products that have tested positive for African swine fever. Australia has also found the virus in meat travelers attempted to bring into the country. With that in mind, the USDA is deploying dogs to sniff out contraband meat that could be harboring the virus. But a more insidious possibility is that feed ingredients imported from China, some of which are only made there, could also offer African swine fever a free ride halfway around the world. “It’s something that we’re all aware of and probably scares us to death a little bit,” Tapper said. 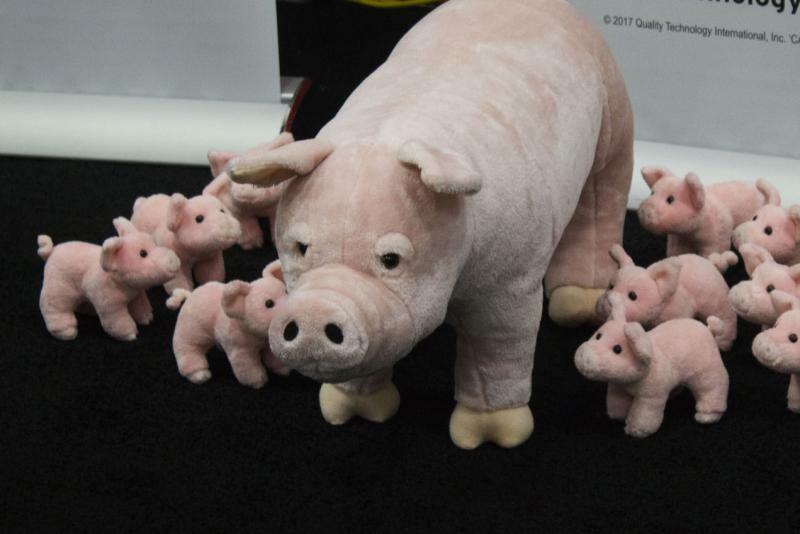 The threat of imported feed became a focus for some members of the pork industry after porcine epidemic diarrhea virus killed millions of piglets in the U.S. beginning in 2013. Scott Dee, the director of research for Pipestone Veterinary Services, a Minnesota-based company that works with a network of hog farms, conducted studies to determine whether PEDV could have arrived in feed from China. Their results showed it was possible, so they expanded the scope to other diseases. They found that African swine fever can survive in certain ingredients over long distances. He said many in the industry now just assume all feed from infected countries is contaminated though there is no system for testing it. 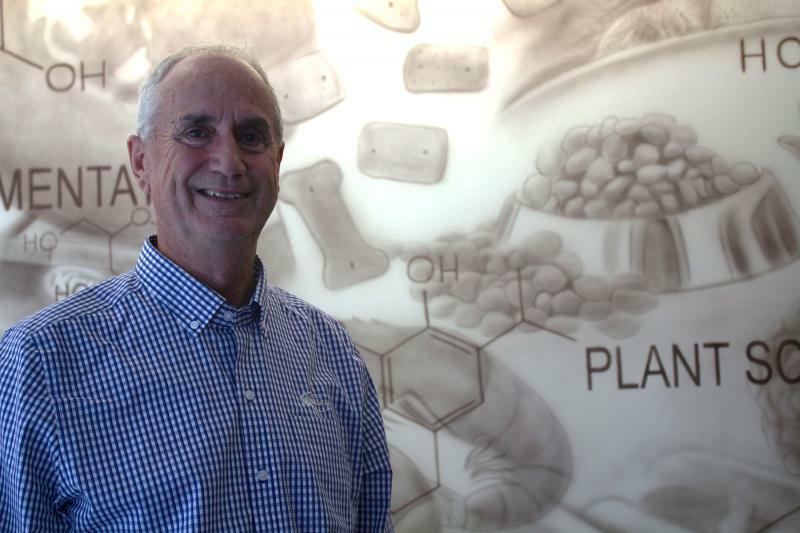 Both Dee’s company and Kemin Industries, a Des Moines-based biochemistry and nutrition company, are looking at how to put something in the feed to kill viruses quickly. Like people, livestock can be protected from some diseases with a vaccine. 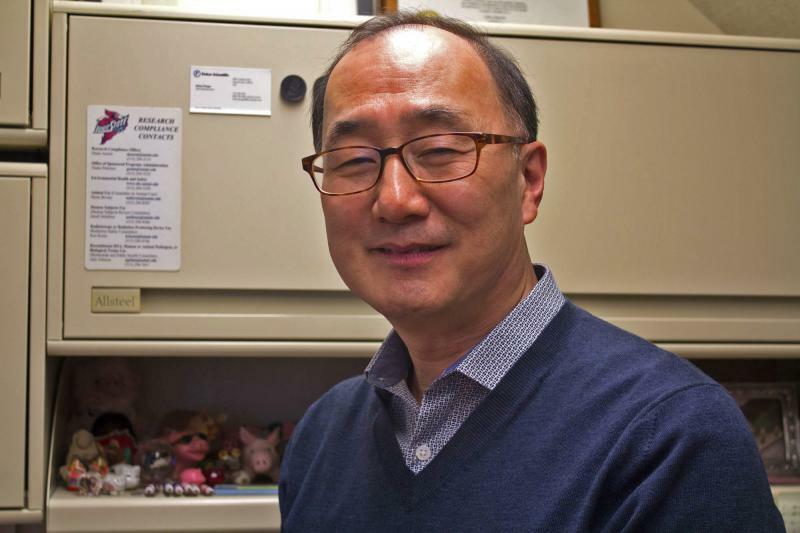 But developing one for African swine fever remains a challenge, according to Iowa State University virologist Kyoung-Jin Yoon. That’s partly because of the the virus itself. Secondly, Yoon said as long as it stays out of the U.S., there are only a handful of labs with the security clearance to work with live African swine fever virus. So while a vaccine could come someday, it’s not going to be stockpiled and ready to deploy the day an outbreak begins. As the virus spreads across Asia, Yoon is sharpening his focus on South Korea. It’s only separated from China by North Korea, a country that tightly controls information and has said nothing publicly about African swine fever. But Yoon says feral swine certainly could travel from China through North Korea and into South Korea, increasing the risk in the south beyond travelers returning from places known to have the disease. Also, South Korea’s preparations are on par with the United States’, Yoon said, so he’s curious to see whether the country can succeed in quickly clamping down on the virus — if it arrives. “If (South) Korea gets it, it will provide something to the United States (about) whether or not we prepared ourselves the good way or the wrong way,” he said. Either way, an African swine fever outbreak will lead to a glut of pork in the United States, and despite the harsh impact on farmers, it could mean a bonanza of cheap bacon for consumers. Veterinarian and researcher Scott Dee doesn't much look the part of a detective, in his jeans and company polo shirt. But when a virus never before seen in North America swept through the network of hog farms where he works, Pipestone Veterinary Services, in January 2014, he had his first clue. Veterinarians and officials are hoping to keep a deadly foreign virus from infecting the American hog industry. African swine fever has been making its way off its namesake continent and into Europe, including Russia. Now, it’s reached China, leading to the culling of about 8,000 hogs.